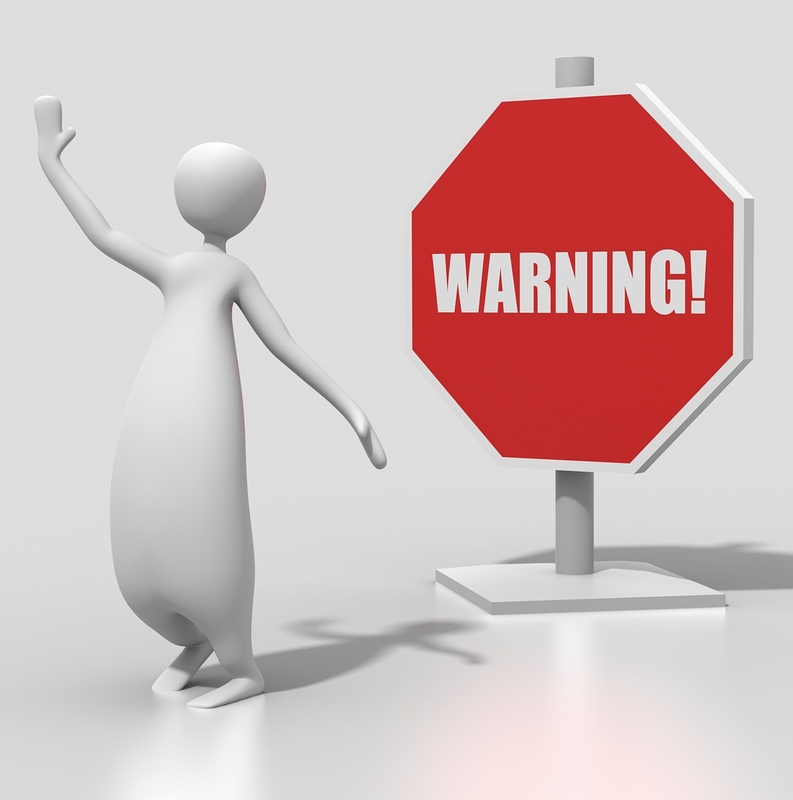 **NOTE** The following is a very serious warning to those in libraries and historical/genealogical societies that may have staff or volunteers researching genealogy requests from inmates. I am passing on a message from a corrections officer – a warning that gave me goosebumps. One of my many duties as a genealogy library manager is coordinating the research necessary to answer the inquiries that fill our mailboxes (both electronic and snail). One constant in the snail mail arena is the plea from the prison inmate. We receive many of these each year – and I have to admit that they’ve always filled me with a sense of compassion – tempting me to assist in some way. My previous inclination to help them, despite a lack of payment, stemmed from the idea that their terrible life choices had placed them in a situation where learning about family origins was forbidden due to a lack of resources. While they may have access to a library, these libraries do not contain genealogical resources, nor do they provide internet access to delve into online genealogical records – leaving any hope for research to the kindness of strangers via snail mail requests. I completely understand and support the decision to restrict internet access, and yet, a willingness to pay a genealogy kindness forward was the only impetus necessary to send along one research tidbit, despite a lack of funds. That is, until one phone call changed my view of these letters. 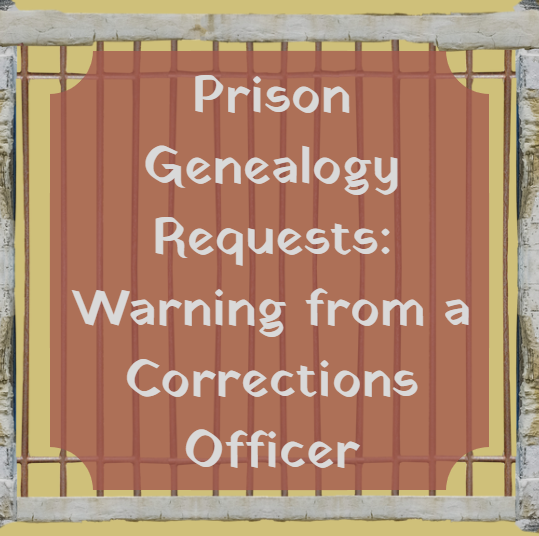 After a recent genealogy request was mailed back to an inmate, we received a call from one of the corrections officers. (I will not give any details as to her location.) Her purpose in calling was not to receive a word by word account of the correspondence, but to ask about the nature of the genealogy itself. As an introduction, she explained that she was stationed at a facility that housed some of the most violent offenders in the country. And even worse, the person we had been corresponding with was an especially violent inmate. As a librarian, I almost thought this information irrelevant. I don’t need to know about an individual’s past nor the purpose behind their information seeking behavior. But then she explained further. Apparently, one of the real concerns they have in this type of facility is preventing any further crimes by the inmates. Either through their own hand, or through the hand of someone they know outside the prison walls. According to information she had about previous genealogical inquiries, she said there is a pattern of research via correspondence that can lead to contact with a living person which violates the inmate’s terms of incarceration. For instance, contact with previous victims, future potential victims, trial witnesses, judges, jury members, or even their own children who may be off limits. After all, she said, they have all the time in the world, and if they can research their way to a helpful cousin who can provide contact information, they will readily exercise the necessary patience for such an endeavor. Be cautious when they are asking for you to research a descendant trail. Obviously, as genealogists, we usually seek ancestors in a backwards trajectory. 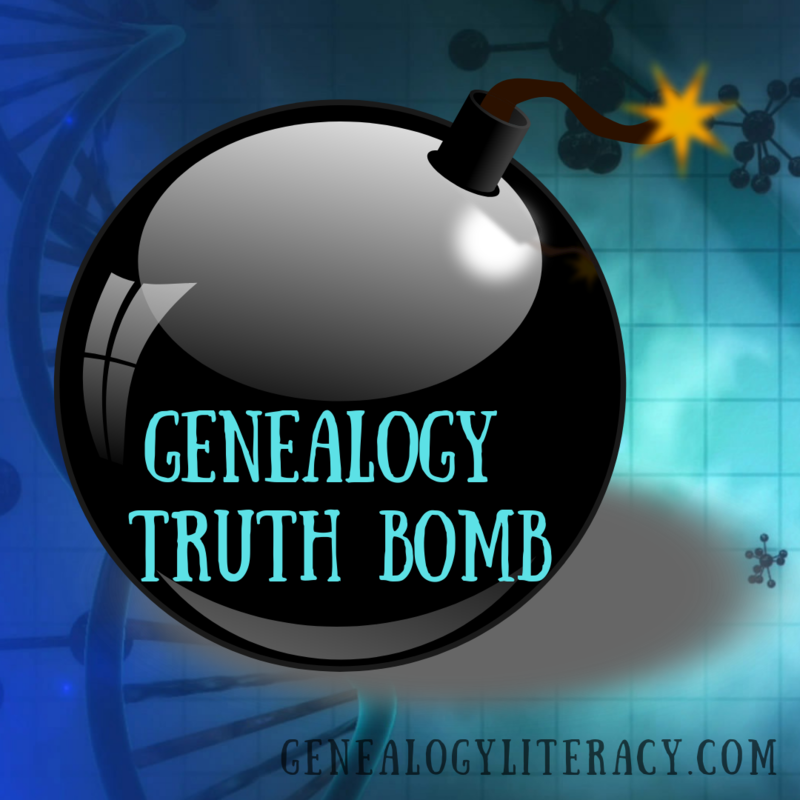 For research requests that may have an ulterior motive, they may list a distant ancestor, give you the line they have worked, and are now asking for you to connect to a generation that quickly leads into the 20th century. For any request that asks you to connect to recent family or living people, do not respond. We already understand this to be a no-no in sharing our own trees, so this rule should also dictate our response to research requests. 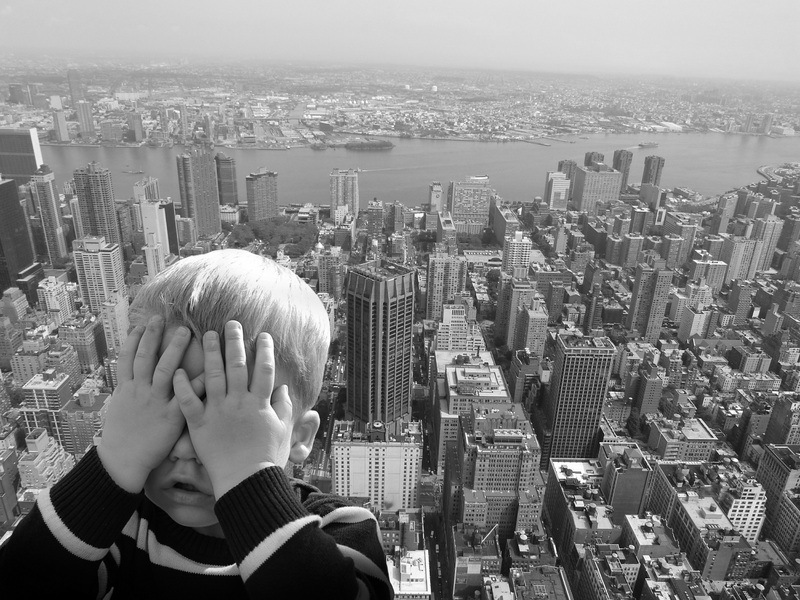 Don’t be lured into sympathy research via an adoption story. They rely heavily on the kindness of strangers, and understand the plea to discover one’s lost origins due to an adoption will likely garner needed information. Their goal may not be the final piece of information, but rather, for you to just fill in a piece of the puzzle, helping them to write to the next person, seeking the next level of connection. Just remember that some of them can be extremely charming and artful in their deception. Be very suspicious of eloquent flattery and detailed emotional pleas. Does her phone call remove my desire to help them? Not really, but it does allow me to analyze their requests with a much more knowledgeable eye. 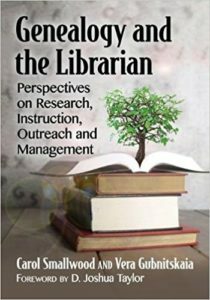 In the new book, Genealogy and the Librarian, there is a wonderful chapter by Katherine Aydelott from the University of New Hampshire, detailing her lengthy correspondence with an inmate, and how she helped him fill in a lot of his family tree – later discovering that they were 8th cousins (pg.203). 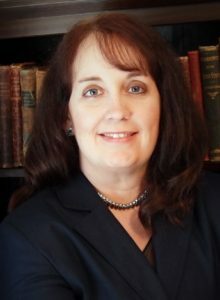 But even with this rewarding research relationship, she advises that all correspondence should remain professional, and to adhere to your organization’s policies. In my library’s case, our policy clearly states we will not conduct research without pre-payment. Yes, we have bent the rules slightly when someone just needed a small piece of info that was easily provided – which fit well into my previous pattern of helping with one small page of info easily copied or printed out – but her phone call made me realize that even this small tidbit could have serious consequences. As an information professional I am not interested in the how and why a person seeks information – my duty is merely to facilitate their access to the needed information – without subjecting them to inquisitive interviews, or speculative analysis. But in order to prevent the harm of others, I think the corrections officer’s advice was timely and well intended. It is good information to have – and a good reminder to keep the wall of professionalism up, and adhere to your own policies. In this case, our policies allow us to deny research services without payment, and I will more than likely follow that policy more closely. But as a librarian, I will not discriminate. If they manage to send in an hourly research request with payment, which asks for information found within our library holdings, we will fill their request in as complete a manner as we would for anyone else – regardless of the warnings. At the end of the day, the situation is very sad – and I personally feel that many requests we receive from behind prison walls are legitimate. With so much time to think, and perhaps when it’s too late do the research, many may want nothing more than to understand where they came from. Just be careful and use the above warning to evaluate your appropriate response. As a post script: I was filing some older requests and ran across a previous inmate inquiry from a few years ago. One thing I had also done in the past, was given these inmate requests to new staff members as a way to play with the research request – take extra time to research, using it to learn about our collections and the research process. 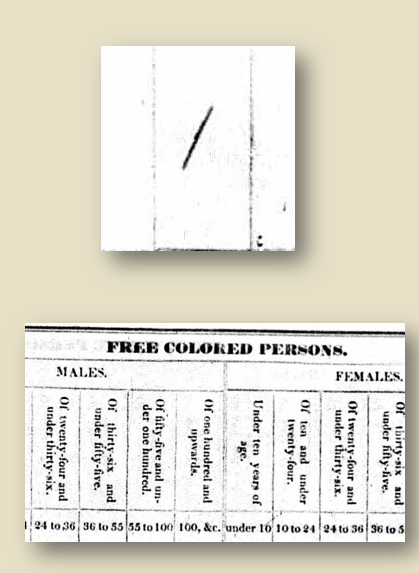 In one of these previous requests, the inmate had started the inquiry with a Civil War soldier – pretty far back, which sounded safe. Then I read all the way through the letter and subsequent letter he sent in the following weeks. He was originally looking for the descendants of said CW soldier, and then quickly asked about someone who was alive in the 1920s. He then added his grandparents to the list of research, and then to his own father, etc. By re-reading these letters after the phone call, I was seeing a potential danger with these letters. His very last letter, which we ignored, was flattering and charming, asking for us to keep writing to him, and that if we had access to Facebook, could we look up certain people on his list, and contact them on his behalf. That was the direction that made all of the corrections officer’s advice resonate with horrific reality. From research about a Civil War soldier to contacting people on Facebook in the very next letter, my stranger danger radar was going off like the wail of the tornado siren. Until next time, stay safe, y’all! 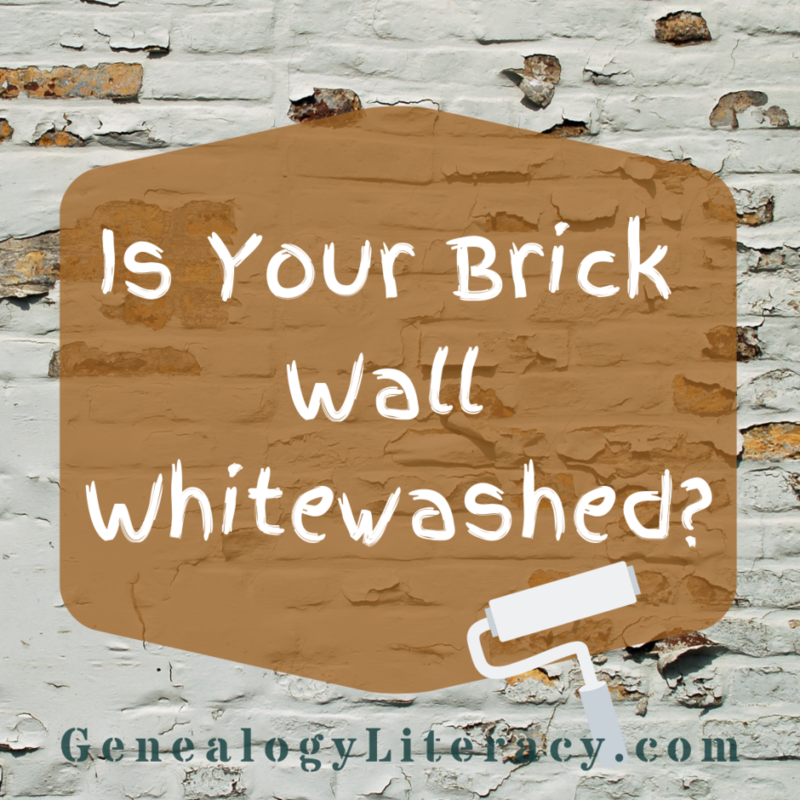 My first attempt at a title for this post included a very naughty word: “My.” You see, this is the biggest obstacle when adding info to the Family Search Family Tree. 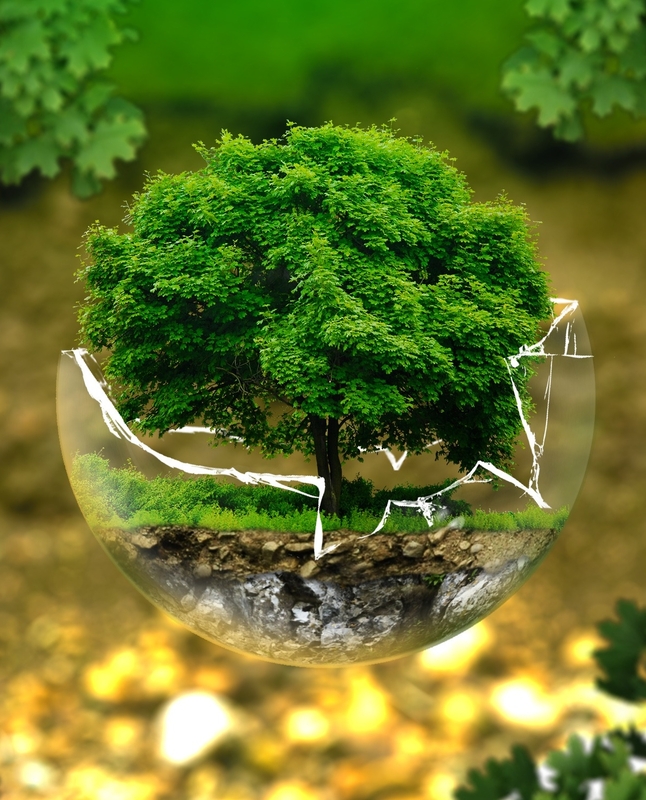 It is one tree, and we are all a part of its branches – transforming “my tree” to “our tree”. I admit that this concept scared me to my core – and honestly, after using it for five years now, it can still send me into a hyperventilating tailspin when fellow gardeners start pruning or reshaping one of the family branches. But I’ve finally come to terms with this concept, and find that I keep going back to it – drawing me like a video game, of sorts – which can sometimes feel more like whack-a-mole. 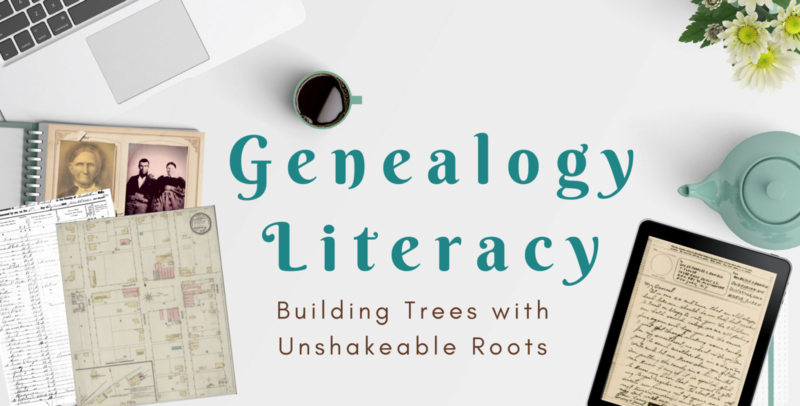 After half of a decade, here’s what I’ve learned and why I feel those of us with advanced genealogical skills should be embracing this “one world tree” concept. 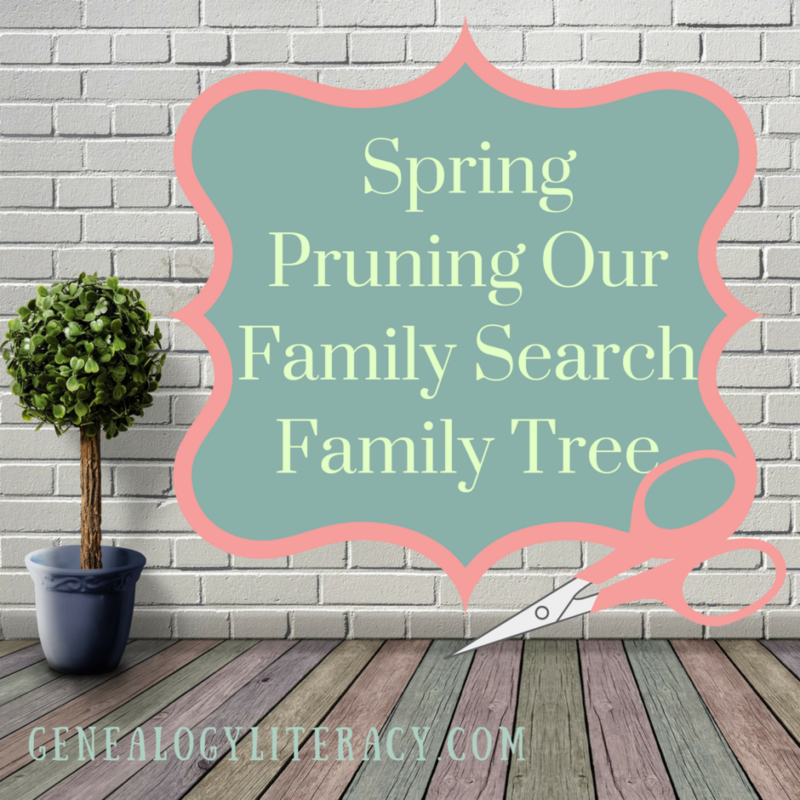 I first started dabbling with this tree because it was new, and I do love playing with new genealogy toys. As the trees were already connected to Family Search records, I thought it might be a nice genealogy sandbox. 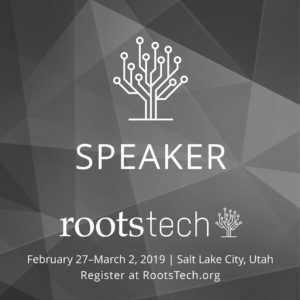 I will also be honest about the initial draw – knowing that Family Search servers and the granite mountain would be preserving the information added to the tree, I viewed this as a tool of genealogy insurance. If everything went kaboom tomorrow, including my house and my gedcom, perhaps this remnant would remain? But then again, how would it remain? After 5 more years, after 10 years, 20 years from now – what would my information look like? I know this is the most alarming part of a one world tree concept. My guilty secret is that I still maintain a personal tree at home sourced with my research – But as the FS tree grows, and implements easy to access tools, I find myself grabbing the FS tree app on my phone when I want to show something to a family member, or just refresh my memory as to a particular branch. So, it’s like a research worm….curling its way into my permanent genealogical consciousness. 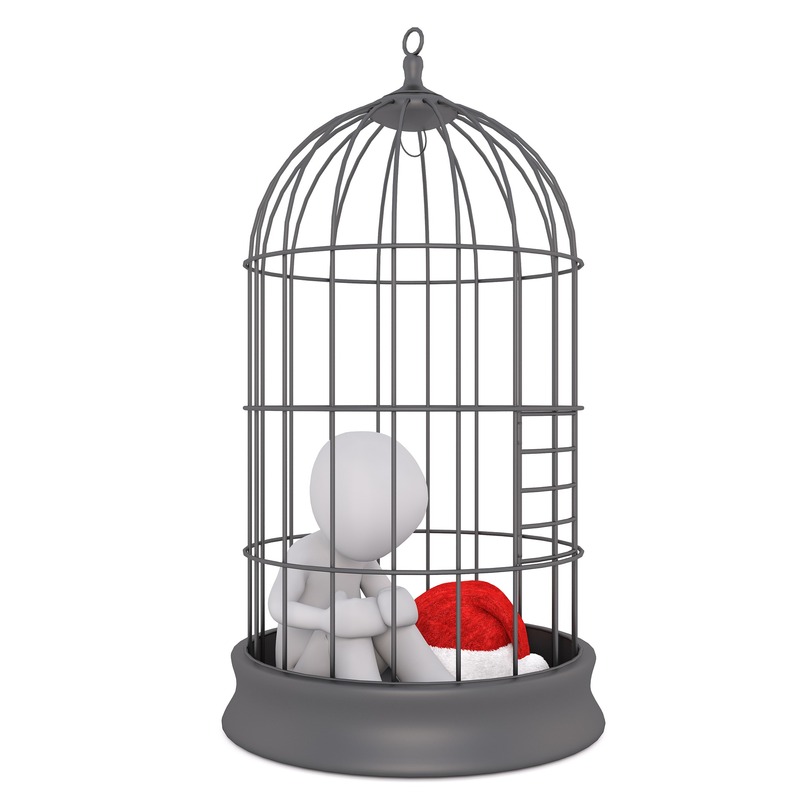 My initial, self-imposed limitations, allowed the maintenance of only a few generations. I was surprised to find that my great grandparents were not in this tree, with very limited information about the generations immediately past them. So, I figured it was my duty to fill in some of the research I already had on hand, as well as share some of the older photographs I had of the family – only one or two for identification – I wasn’t going to go crazy with this tree, nor add the whole kit and kaboodle of family gems – those are going into a book someday – and sent to libraries to meet my own comfort level of permanence. First word of caution with a tip: I would never have guessed in a million years that someone would try to remove or move one of the images that I had added – but sure enough, the shocking moment happened when I got the notification that someone had removed and moved a photo that I had uploaded to my ancestor! I went racing to the page, only to discover that everything was fine – when you get a notification that someone has changed something on your tree – DO NOT rush over and act in furry or haste! Be careful, and look closely at the changes, because FS notifies you for ANY changes to the ancestor profiles you choose to put on your watch list – which includes movements forward and backward. To illustrate – back to the photo image switch – the person who had removed the image, only removed the attachment of the photo – attributing it to someone else. Sounds horrifying, no? 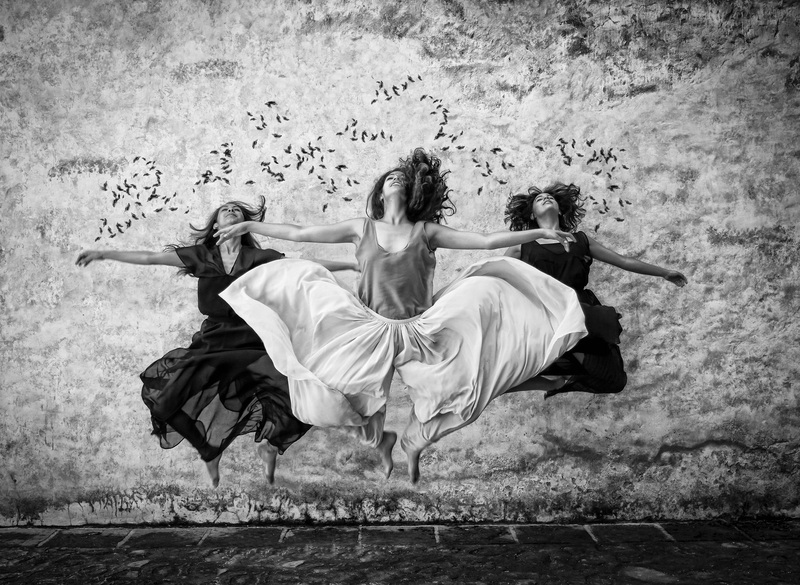 But when I looked closely, the photo was repeated in the list of changes, among others that reversed some of the previous actions. Upon inspection, clearly someone was trying to attach a child, and remove a duplicate couple, and since that process has quite a learning curve, the person was trying to correct the slip that had been made when he/she detached or deleted the wrong person! In the end, things were just fine, but it made me realize that I needed to spend some extra time and watermark the ancestral photos that were held in my personal collection. 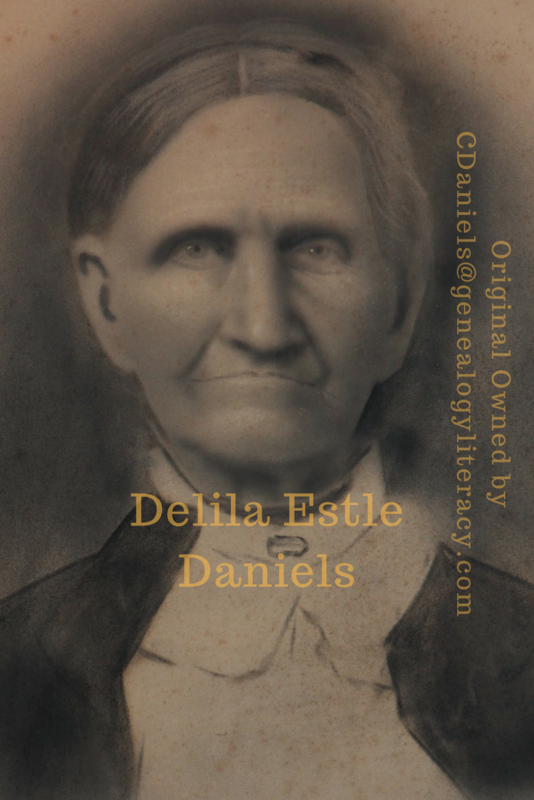 Once you upload a photo, people can move them around, but from now on, I will add a watermark that identifies the ancestor, as well as the current owner of the original (maybe not my full name, but initials and surname, or some such configuration – and maybe not a label that can be trimmed off.) Also, add a note as you upload to go with the photo – listing you as the owner, or where you got the copy. It’s the least we can do as an attempt to keep the right photo with the right person. Plus, I cannot emphasize this enough – take time to learn the ins and outs of the merging, deleting, and detaching processes – for all of our sakes – PLEASE!!! There are loads of YouTube videos out there to help (including a whole channel by Family Search!) – just be sure to watch the most current editions as the specific instructions have changed a bit – we all need to make sure we are doing it right, so we don’t contribute to the problem! I admit that the duplicate entries made me shake my head – it was like Ancestry zombie tree clones all over again, but with even worse variations based on crazy transcriptions in the system (I’ll get to that in a minute) or just terrible “research” – and it was driving me crazy because I would run into this issue quite a bit – as would others working on some of the same lines. Then it finally hit me – the “Possible Duplicates” link is your friend! 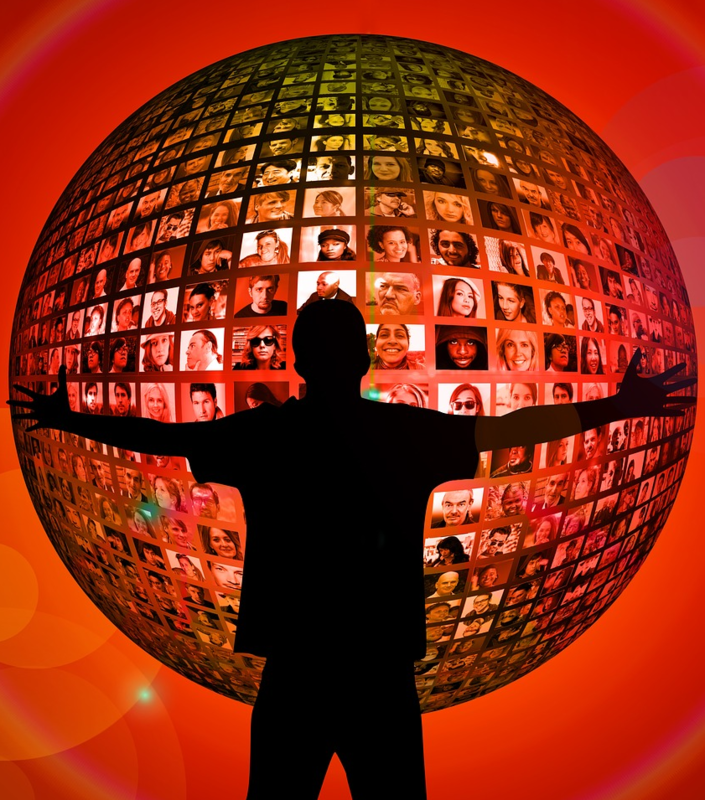 I was running into duplicates as I attached new sources, added new children, parents, or a new spouse, and it was so confusing to detach or attach existing folk. You can REALLY help the tree a lot if you periodically go in to prune off or merge existing duplicates. By doing this proactively, you help to ensure that the tree grows as a tree and not a bush! You might be thinking: “Hey – that’s no problem as I’ve already hit that wall and fixed it – removing/merging all my duplicates”: Ummmm, not so fast. The reason you need to periodically go through and prune/merge duplicates is because new ones can show up as new records are added to FS. I recently discovered a duplicate that I was not aware of previously. It came up as I was working on a German couple that had no duplicates. This is a really unique surname and I had been the only one working on this branch – until a new record came up as a hint from FS – I eagerly went to attach the record to my couple, and found it was already attached to a couple whose names were similar, yet not identical – resembling something of a phonetic perversion that was very odd – seemingly related to how the record was transcribed. I clicked on them to learn more about this couple and their lineage – but I quickly hit a dead end. When I clicked one of their individual profiles, and then hit “tree” I found that there was no one attached to them at all – they were floaters with no connections. So, I looked at their history, to identify the original creator, and it was FS Admin! 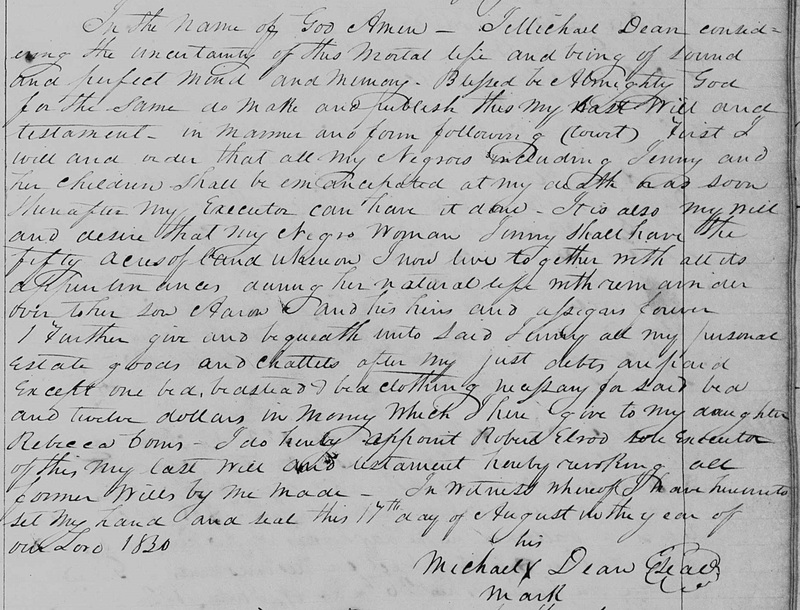 I’m assuming this is a function of newly added records – they were putting a family unit in the tree section as a new record was made available in order to find the family connections (this was a baptism identifying a family unit) – not sure if this was made by a bot of sorts (computer generated), or a real person, but it made me confident in my next changes. With the potential for many other floating family units to appear out there over time – you may want to make your life easier and check the individual lines in your branch of the tree for new duplicate possibilities – in other words, keep the shears handy for spot check pruning. With all of the above – why should I invest my time and resources into this Family Tree? As much as my family’s involvement might result in us getting mad over the changes – I’m confident the collaboration will be great in the end (because I KNOW they have some family info that I don’t – and their input will help build a more complete ancestor story) – plus, I think we all live far enough apart that murder will not be a viable option for dispute resolution – just a genealogy joke, folks! With the new tools that FS is implementing for story/memory collection – this could soon evolve into a very dynamic place for preserving and sharing the family story. One of the major draws for me is that easy integration with the FS documents – those sources get pulled in and attached with a few clicks, and it makes sourcing information like a video game – fun, serves the purpose, and doesn’t strain my eyes as I make sure there is a comma or period in the correct places – but I’m still careful to make sure it belongs to the right people – after all, a hint is not a given match. And BTW, I have played with WikiTree as an alternative, but the screen layout just never stuck with me – plus, the ease of connecting actual records in FS hooked me like a duck on a junebug. Lately, I’ve heard genealogists of varying degrees of experience throw their hands up and reject the one world tree concept. Don’t get me wrong – if I had a dime for every time I got mad and said “That’s it! I’m done! I’ve had it with this thing – If everyone can come in and just changes my work, what is the point??!! !” I’d be a wealthy woman. But fundamentally, I think we’re getting it a bit wrong. If most genealogists of significant caliber abandon this format, you know who builds the one world tree? Potentially, those who lack the necessary skills to create a valid tree – and yet this tree is preserved and lasts for many generations – Is that really what we want? If we don’t get into the sandbox with the other kids, who know what will be built with the genealogy blocks? And just to be clear, while we abandon the format and stick to our private trees only, this community tree is taking shape and continuing to grow without our input and while we look the other way. Moral of the story – Beef up the profiles, be kind, but be thorough, and don’t be afraid to communicate why you would like an element to stay. 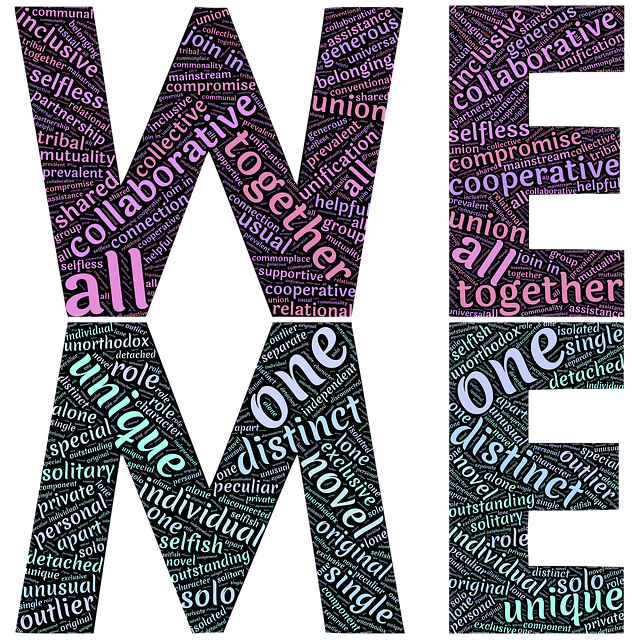 Collaboration is a GOOD THING! So far, people have been relatively nice about things if you reasonably explain the source behind a piece of information. Although, I have been tough on some lines, and chopped off a branch that ran wild with completely unsourced info – I detached with a notice that said “Please do not add parents of this person without citing a source – there are many theories out there, but no proof has been yet uncovered.” It’s a wonderful PSA to remind people about citing sources and the GPS – even if it is one little message at a time. NOTE: We have a lot of work to do! There have been so many weird changes out there that the clean-up could be pretty intense, depending on your branch of the family tree. And yes, I know, some of them have run wild like a bramble bush that stretches all the way back to Adam and Eve – but if we don’t get involved and bring along the pruning shears, it’s like a genealogy villain (misinformation) terrorizing a village with no superheroes to combat their dirty deeds. Just like indexing, I think we have a responsibility to dive headlong into the forest and make it a better place – with a myriad of opportunities to educate about resources as we go along. 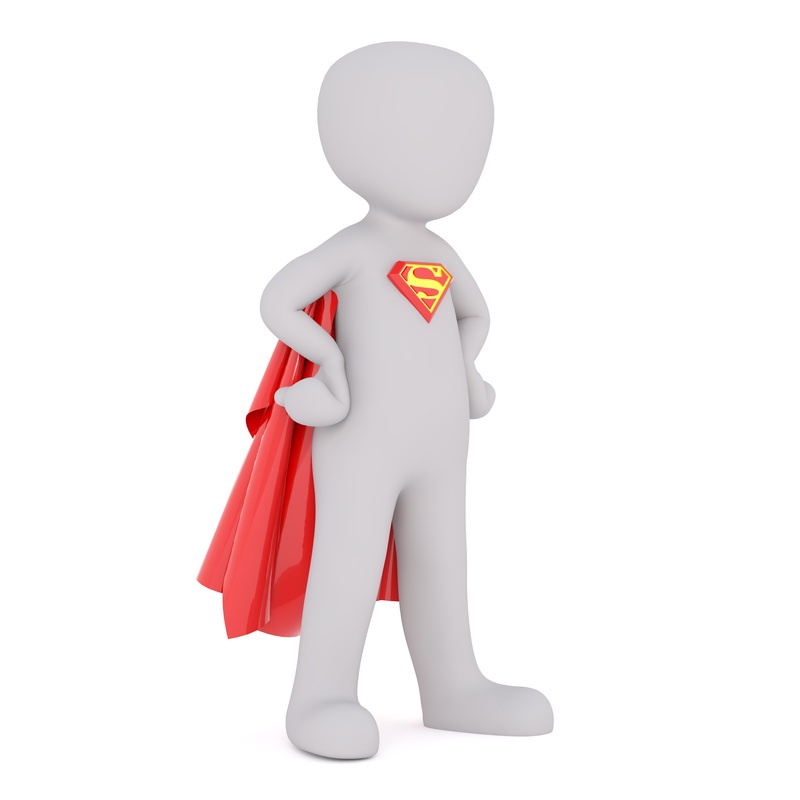 OK – Everyone, go get your cape, shears, (and goggles for the mess) – we’re going in! 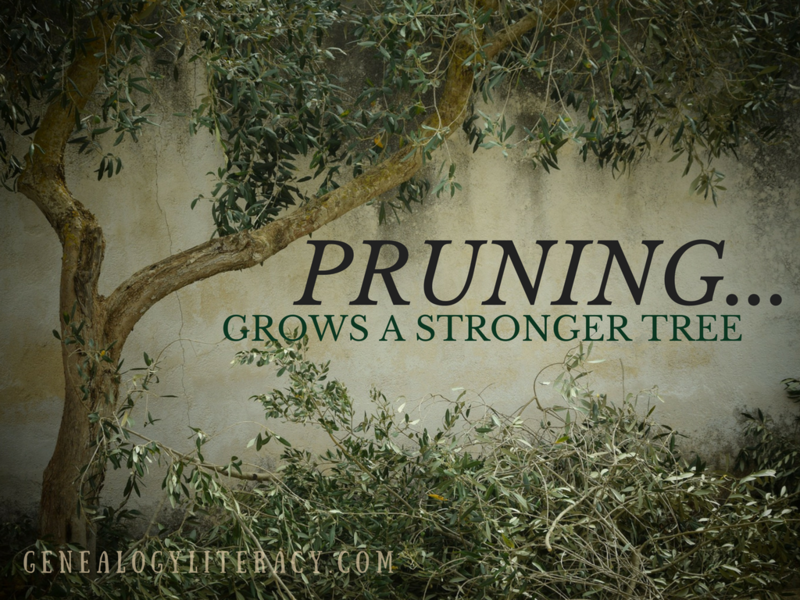 Thanks for reading and happy pruning! The information I am about to share will naturally be a tad controversial. But after years of watching genealogy donations come into a state institution, the severity of this issue has been weighing heavily on my heart for quite awhile. 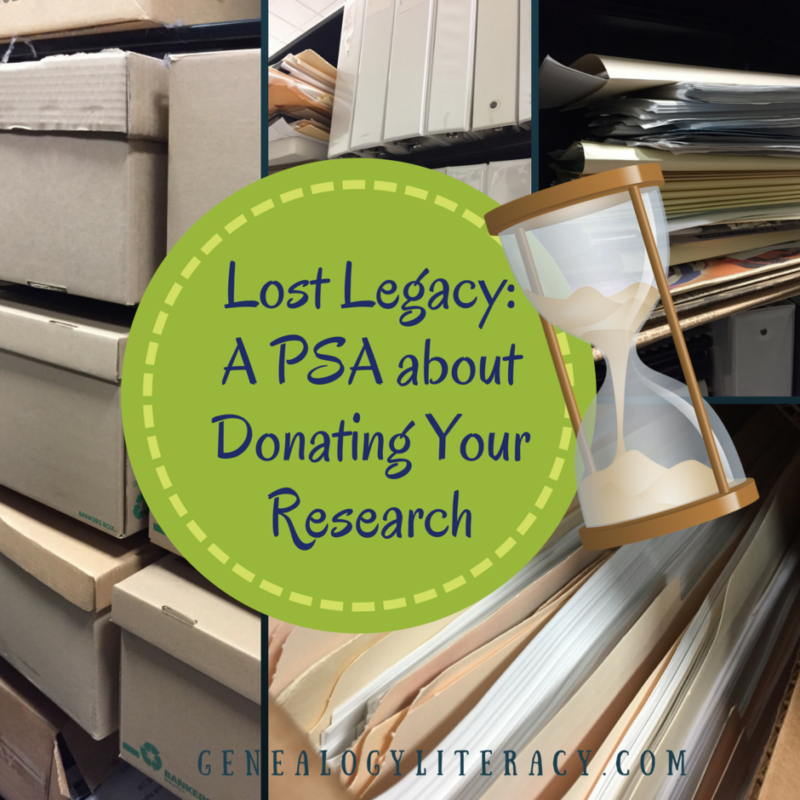 For anyone planning to donate their genealogy research to an organization or even to a capable family member, you NEED to read this post with an open mind and a willingness to take precautions. Aunt Matilda, the family genealogist, has passed away. 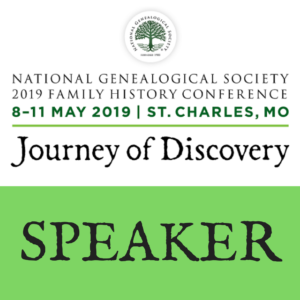 Everyone loved hearing her stories at the family reunion, or seeing the charts she would bring along, but her small pieces of genealogy that she shared with the family were the result of decades of research – with 20+ boxes and 6+ file cabinets to prove it. 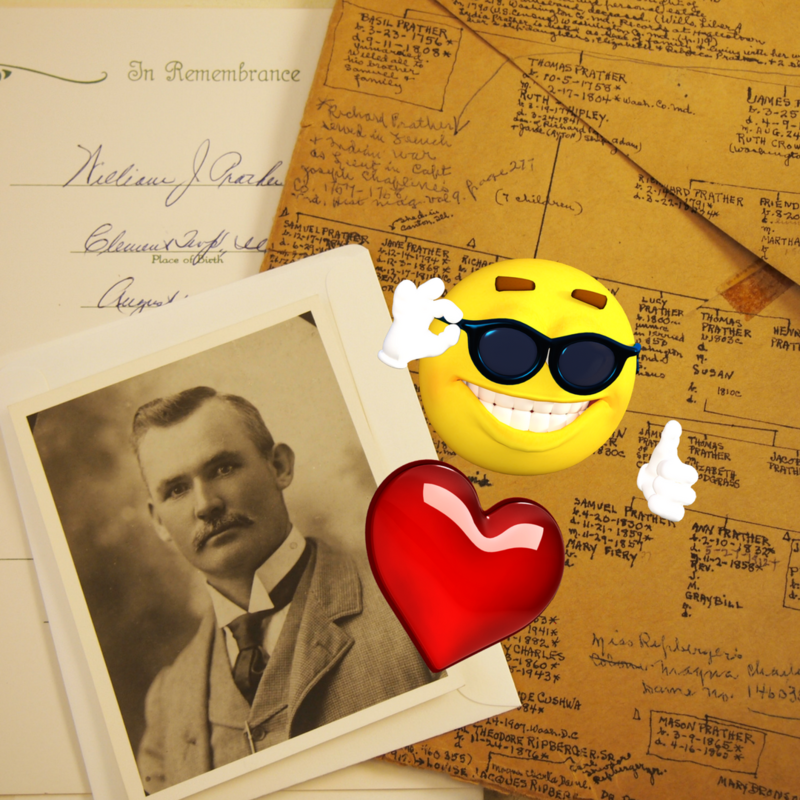 Aunt Matilda was very organized, and loved displaying her binders of family research – they were an impressive site – she even shared some of these brag images with her favorite genealogy Facebook group! But Aunt Matilda is gone – and her family has been tasked with finding a new home for this valuable truckload of genealogy. It’s precious. It’s priceless. But who’s going to take care of it as it should be cared for? For all eternity!!!??? The family passes on the collection to another willing family member who will lovingly continue Matilda’s work, and care for the collection as we all envision. A willing family member volunteers to take the collection, in the hopes of continuing Matilda’s work, and it goes in a basement or attic until they retire and can devote sufficient time to its care. However, if this next family member dies before taking on the work, the collection will need to find another home. No one in the family wants this, but realizes its value and donates it to a non-profit organization of their choice: Library, historical society, local museum, genealogical society, etc. 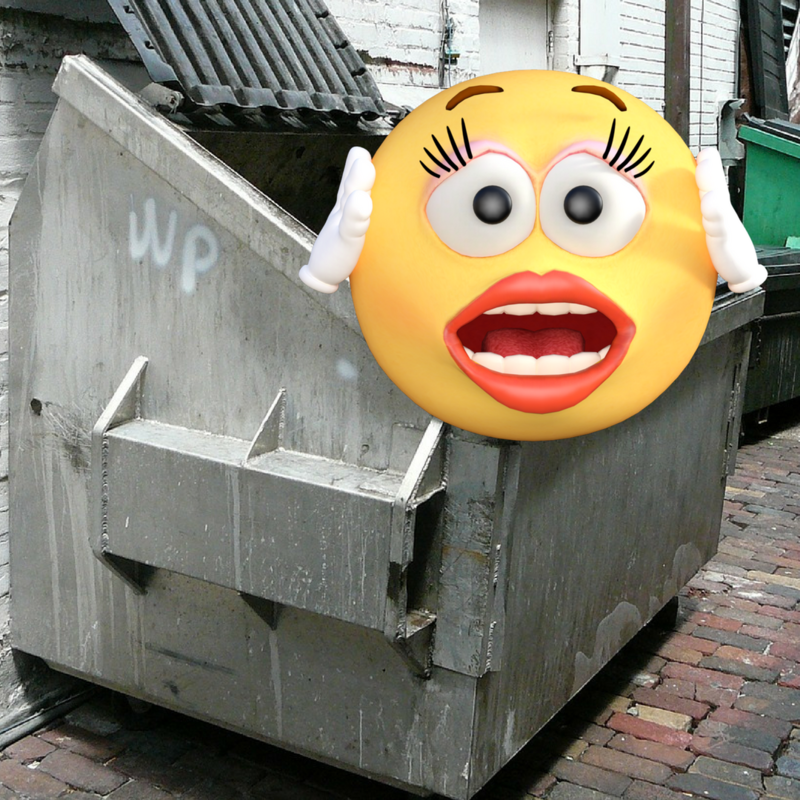 The family members in charge of Matilda’s estate have no clue about the value of her genealogical research and toss the many files of research into a dumpster! Oh, the horror! This is the rarest of the scenarios. We all know that we carry a sacred mantle – bestowed upon us by the ancestors. We are chosen by a force we cannot see yet which drives us to research until we become one of them. While you can find another in the family to take the charge, you may have to be creative in finding the right person. It may not be a direct descendant. This isn’t royalty, with a title dictated by an entail, but rather a search for the one with the gift. This is a pretty common scenario…unfortunately, it does not usually have a happy ending. Well meaning family members can have the best of intentions – but lack of follow through usually results in an even more precarious situation when this person passes = a fast track to scenario #4! Do not be swayed by the willing but unavailable – or incapable. Look for the gift as we just covered above. This is the impetus of this post – and the hardest to take. Donating the collection to a non-profit organization is a smart move for longterm preservation and future accessibility by descendants from multiple branches. I encourage this with every fiber of my being! A problem is fast arising – at an alarming rate: Collection size in relation to space availability. I work for one of the lucky ones. We have a very large, modern facility, built to handle incoming donations of all size – for decades to come. Despite our current comfortable space capacity, it will not last forever. For those who are not so lucky, space is at an even greater premium. Our current collecting practices had to move to a smarter model over a decade ago because at the current rate we were taking things in, we were going to run out of space quickly. So, we adopted a collecting policy – related directly to our mission and mandate from the state. Every item coming into our facility has to be voted upon by a Collections Committee. We base our voting upon historical significance, condition (mold and bugs are pretty quick declines unless there is something stellar inside that warrants conservation. ), uniqueness (do we already have 25 of these or is this only 1 of a few?) and subject need. We implemented these policies to not only ensure responsible stewardship, but to encourage collecting in a broader spectrum – we want our collections to cover all subjects and time periods. For incoming genealogy collections the questions are getting harder and harder because the size of the collections being dropped off are getting larger and larger….and with much greater frequency. To analyze a genealogy collection for inclusion, we look at the contents to the best of our ability. This is not a full scale archival processing which would come after acceptance. This is a spot review of folders and boxes. What are we finding in this collection – and should we take it? Is there original family material inside? If we find original family photos, correspondence, sourced research reports, bible records, diaries, ephemera, etc…..that’s a home run. We LOVE these components because they are unique, tell a story, and in many cases, fragile. Our facility can preserve them, and make the collection accessible to researchers and many future family members. But more often than not, these collections contain a large photocopy paper collection – with very little to nil original family elements. For instance – print outs from websites such as: Findagrave, Ancestry, RootsWeb, message boards (Genforum), etc. E-mail correspondence can be valuable as cousins collaborate their research, but I’ve seen binders devoted to one family, which includes complete copies of each stage of the e-mail chain – from the first e-mail, followed by each reply, until the final response – repeating the chain as it grew – filling up half of the binder! This is why we practice responsible and thorough citation methods! You will never see an NGSQ article that contains copies of all of the documentation necessary for a proof argument. Why? Because it would take up too much space! Citation guidelines were adopted in the history and genealogy professions as tools to defend our research conclusions. We have to defend them with primary information – but through citations, not actual copies of the supporting documentation. Point taken – but I’m here to pour a bucket of cold water over your head: Which would you rather have, a research report with full citations donated to a non-profit collection that your family can access for generations – OR – would you rather see your decades of hard work tossed into the dumpster? Here’s the bigger problem that accompanies the material I described. Even though we, as archivists, are trying to evaluate an incoming collection as to its research value and historical/genealogical importance, there is always a possibility that we could get the assessment wrong. Not overall, mind you, but the sheer volume of print outs from the genealogy web could obscure the original family elements that might be lurking inside. 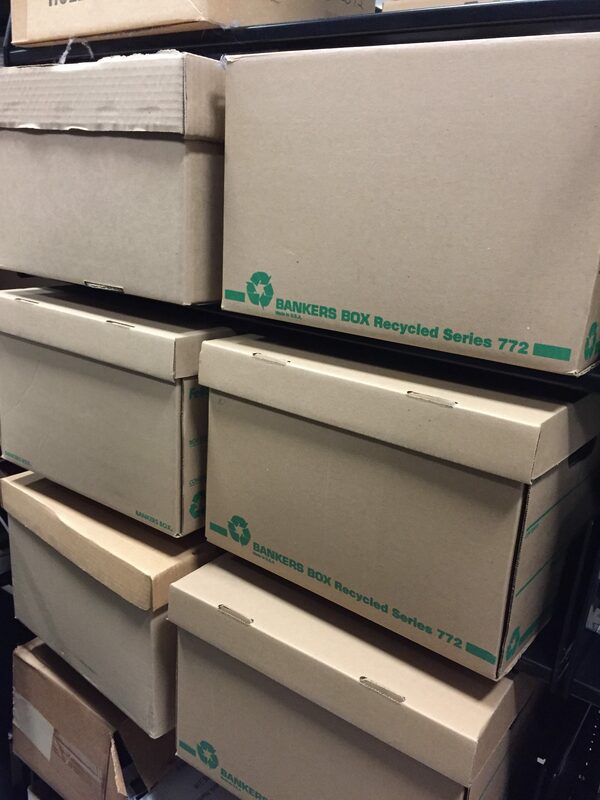 And remember, we’re not talking about assessing a binder of material….we’re talking about assessing 6-20+ boxes of binders or folders….within a half hour or so, to make a donation recommendation. So, what can you do to ensure your collection is handled appropriately to survive in the longterm? It is MANDATORY that you reduce the genealogy collection footprint. Here are some ways to do this. Begin to prioritize. Most genealogy organizational how-to articles will help you organize your research into color coded folders, binders, boxes, cabinets, etc. Forget that for now. Your prioritization should begin with the most important pieces of your family collection. If you walked into the office/closet during a natural disaster and had to pick one box to take with you, what would it be? If you can’t lay your hands on one to two boxes of original family material or research, you’ve already lost the estate battle. One way to reduce, as I mentioned earlier, is through citing your sources without keeping a photocopy of the original. I know that makes you nervous, but it’s the goal we should all be striving for in our research. Caveat: The copies I am referring to include items that can be easily pulled up via Family Search or Ancestry, Internet Archive, or Photocopies from other books that are readily available, etc. If you have a photocopy of a record that has never been digitized, and it took a trip to the courthouse to retrieve, by all means, keep that copy. The same goes with family group sheets and family Bible record copies from relatives – these are not things you can cite and find anywhere else (usually) – so retention is a must. Photo albums are their own beast: consider decreasing the amount by eliminating images taken of landscapes while on vacation, blurry images, and duplicate images – pick the best – eliminate the rest (of these photo categories). 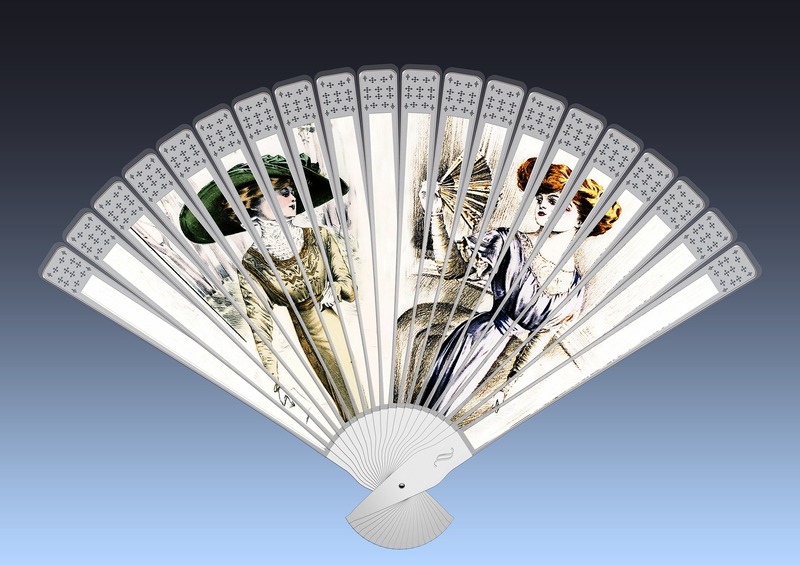 Ephemera – While I’m a big fan of ephemera, there should be a limit on what you keep. Travel brochures, postcards with little to no family info, restaurant napkins, matchbooks, receipts, canceled checks, should all be reduced or eliminated unless there is a great story or sentimentality to the item. If you do have a large ephemera collection tied to places over the years, consider pulling those out and donating to an appropriate institution on the collection’s own merit. Always separate publications away from your genealogy collection. Sure, they can be in the same area during your research years, but separate them out during the organizational process. 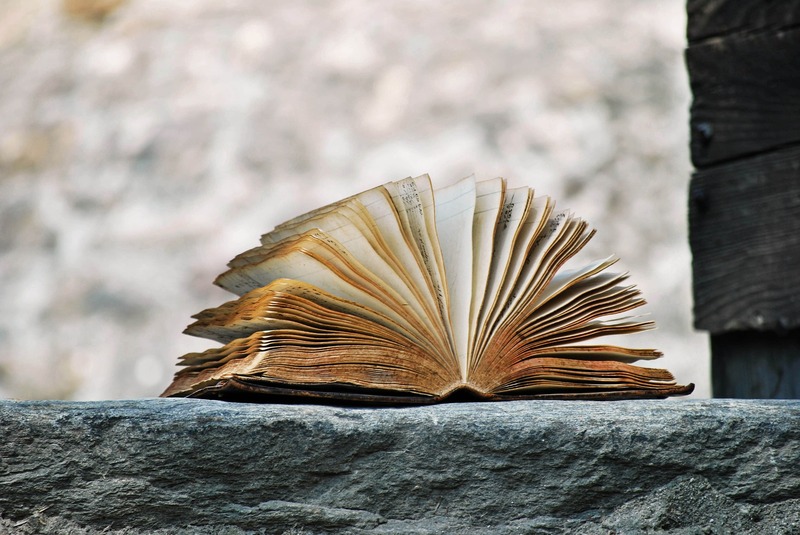 Someday, these can be donated to local libraries, or discarded if there are multitudes of copies already out there – but don’t muddy your genealogy waters with outside, mass produced publications. Breaking the Hoarder Mentality: Document the Important Stories and Tie them to the Objects you want to Pass on to Future Generations. 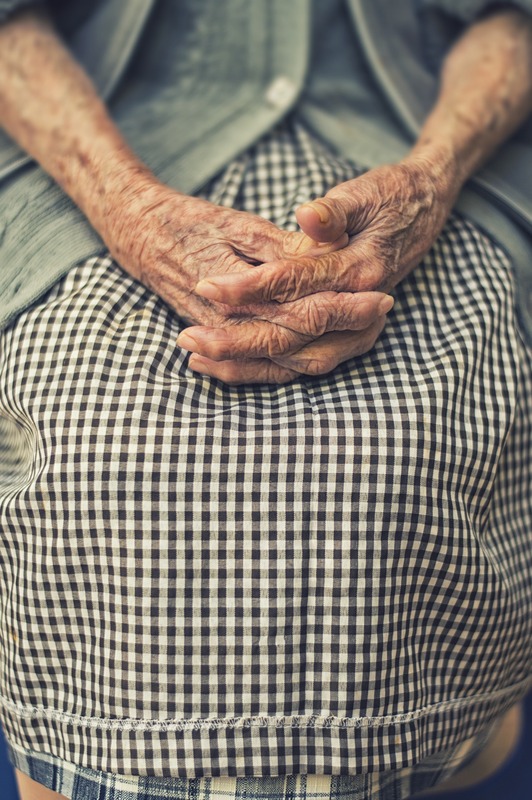 On a personal note, my grandmother died a few years ago – but due to the hoarding that went on in that household, unchecked for decades, it took the full 2 years allowed to settle the estate. Even after her house had sold, we were working through the last portion of her belongings that were stored off-site in an environmentally secure storage facility. Up until the very last hours, going through that last batch of family significant items, the sheer volume of “things” and lifelong remnants was mentally and physically exhausting. 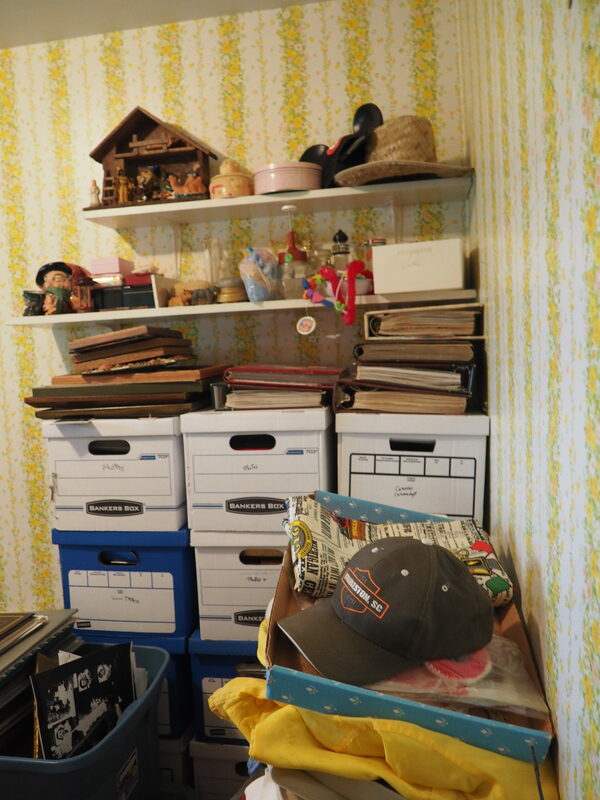 By the end of the final day allowed for the probate settlement, my father and his siblings agreed to split up the remaining boxes without knowing what was inside – in the hopes of making the last divisions equal. So after 2 years of work, the last divisions were made blindly – a scenario we all want to avoid. At the conclusion of all the angst associated with an estate dispersal, there are still many times when I will look at something today and wish I could ask my grandmother or grandfather about its significance. Sure, it’s old, I grew up seeing it in their house, but is that the end of the story? Did they purchase the item, or did they get it as a gift – OR, did it come from the previous generation? Sadly, those stories are lost forever. My exasperated point here is: Do not place the same value on your stuff. Prioritize the important things, connect them to you with stories, and work on getting rid of what is not as important. Because the biggest tragedy of all exists when the really important things cannot be seen due to the hoarding around them. In our attempt to keep everything, we are at risk of losing the most important elements of our heritage. 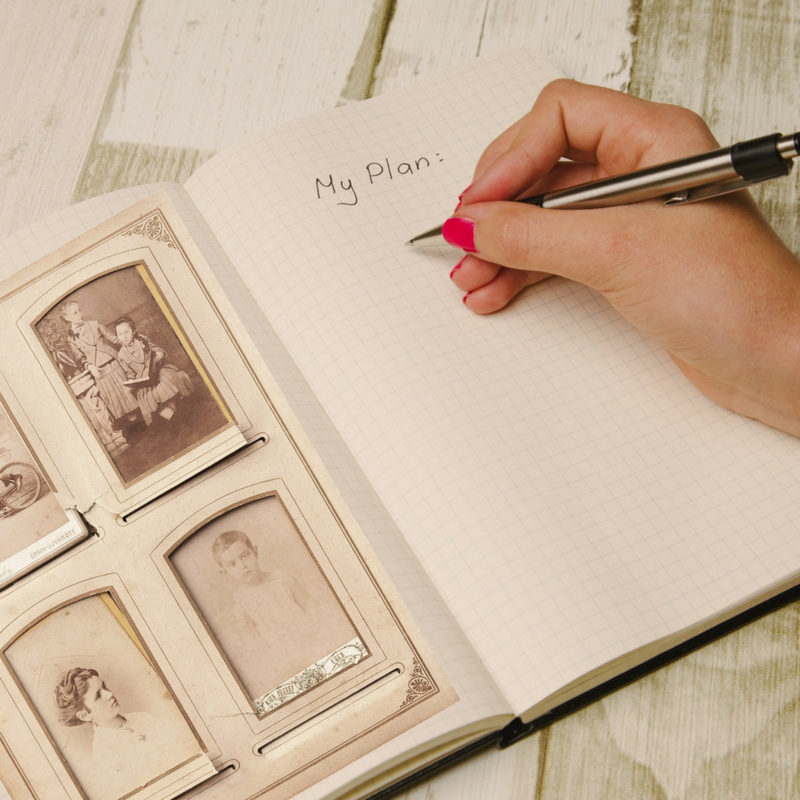 There are a few other things you can do to ensure your family history survives, from housing the items, to labeling photographs, to estate planning. Once you have prioritized the most important sections of your collection, go through them with a fine toothed comb of analysis. Label all of the photos. Re-house the important documents and photos into archival safe folders and boxes (this is also a nice way to differentiate between the important and less important segments). For each box of documents related to a surname or family, write a research report that fits into the first folder – serving as a family introduction to what’s inside and where this collection fits into the family history. This is your opportunity to use the citations I mentioned earlier – but in smaller reports that do not seem as daunting. 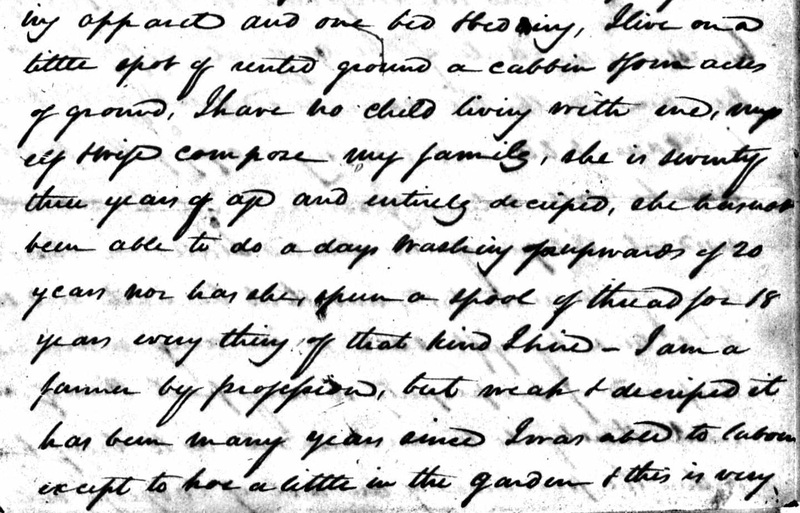 Include photos of heirlooms in the report to connect them in family context. You can keep these electronically active as you research, updating them periodically, and placing an updated version of the report in the file every year or 6 months depending on the research activity for that branch. Think about the odds of the entire collection surviving – and then explore ways of sharing copies of the history. The more copies that exist out there, the better the chance of connecting to future researchers: Making a photobook history through the many self publishers out there. These books come in slick professional looking products that your family will love to pass on as important keepsakes. 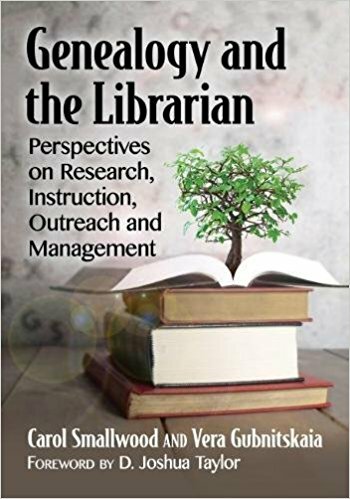 Also, if you don’t plan on donating the entire collection to an organization, make copies of the research reports or photobooks you wrote and donate to local libraries and museums – this allows them to survive on file for researchers. Do you want to donate the collection you just put together? Consider getting advice from a local professional. Contact the museum/library of your choice and ask to consult with an archivist about your genealogy collection. 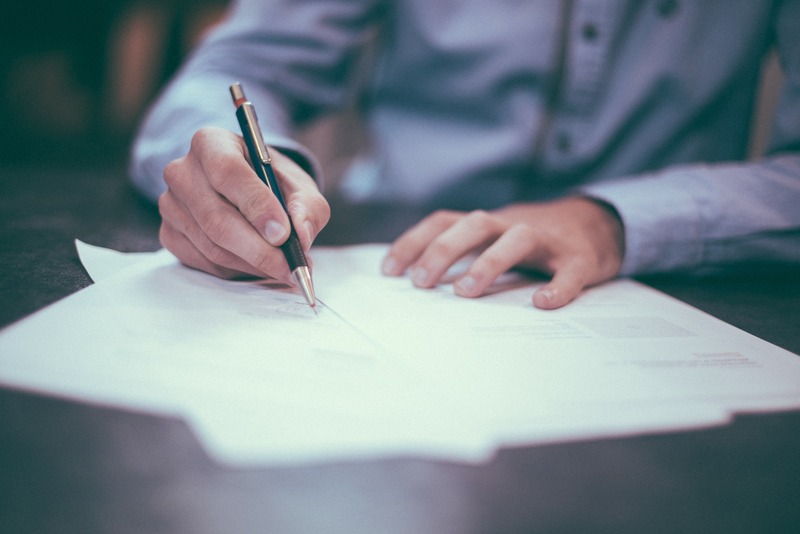 They can advise you on best practices, and whether they would be interested in obtaining the collection – if you already know that they woudn’t be interested, or wouldn’t make a great fit, shop around for a place that does, and then consider estate planning to make the donation a legal agreement. Also, don’t be afraid to ask them about their collection space and future collecting policies – as well as staffing levels – as this affects processing time and the future access of your collection. But….you have a different scenario: your research is well sourced, not bulky, but stored neatly as a digital file on your PC or in the cloud. You’ve used a wonderful genealogy software that allows your files to be shared with multiple family members. That’s great! But what happens when the software you are using upgrades after you are gone – and the file can no longer be read – save as a gedcom? Perhaps. But since we cannot see the advanced technological environment coming along, it’s a safe bet to store your reports in multiple formats, including printed reports, and make sure you keep up with best practices of data migration. I am NOT suggesting that you have to reduce your collection to one box or binder. In some cases, that is not possible – in others, that isn’t practical. 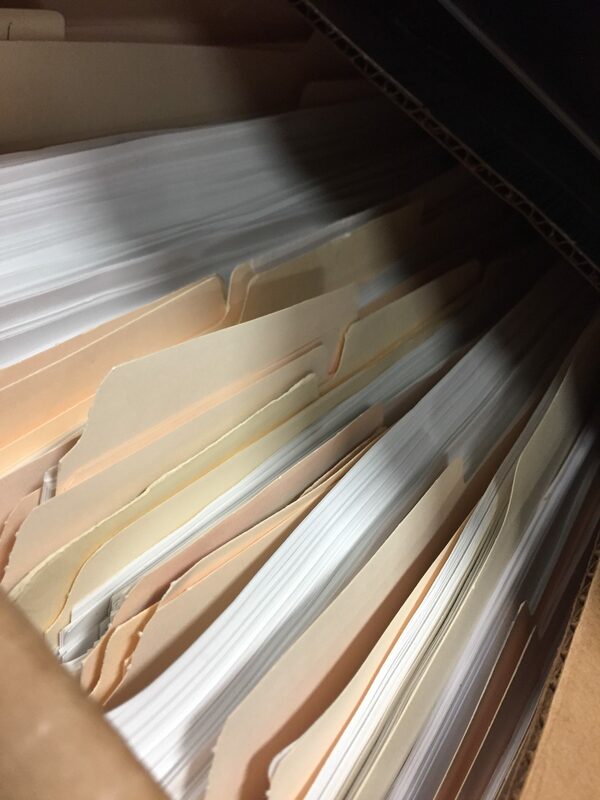 However, when we archivists process collections, we are allowed to discard elements that do not fit the collection – categorized as “processing discards” = superfluous papers with duplicate information, blank sheets, commercial (widely published) brochures/publications, damaged elements, etc. Knowing this, you may be tempted to dismiss my entire post – after all, an archivist can process my collection as they see fit after I’m gone. Really? Do you really want the reduction filter to come through someone who does not know your family and related collection? NO – you want to retain that power and prepare to donate a unique and useful research collection. 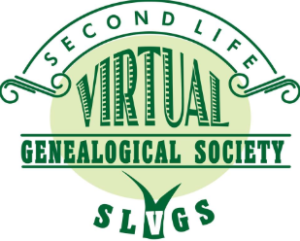 Everyone thinks their genealogical research will be valued and preserved for future generations. However, unless we are proactive in ensuring its survival, it may not last past our generation. I understand the need to keep all of our research on hand while we work, but we must be more organized in the research, keep clear goals in mind for each branch, and then wrap up our work with reports – on a periodic basis. Just remember, reports can be amended in the future – but lost genealogy is an irreversible tragedy we all want to avoid! I hope this makes everyone think about what I consider to be an emergency epidemic – one that I face every week. 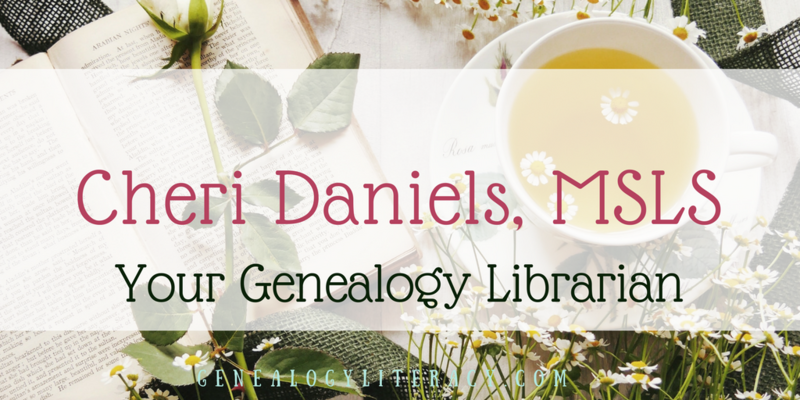 Please take this advice to heart – it is well intended and shared in genealogy love. Ah, the family group sheet. We’ve all made them, usually in the early days of our research…either by hand, or printed from genealogy software. The standard, hand-completed family group sheet has always been intended as a tool….a worksheet, a place to gather basic family facts. But so many of them have been left behind as evidence of research…sometimes becoming the only trail we have for our family’s previous efforts. The big question is: Are they valuable – at all? 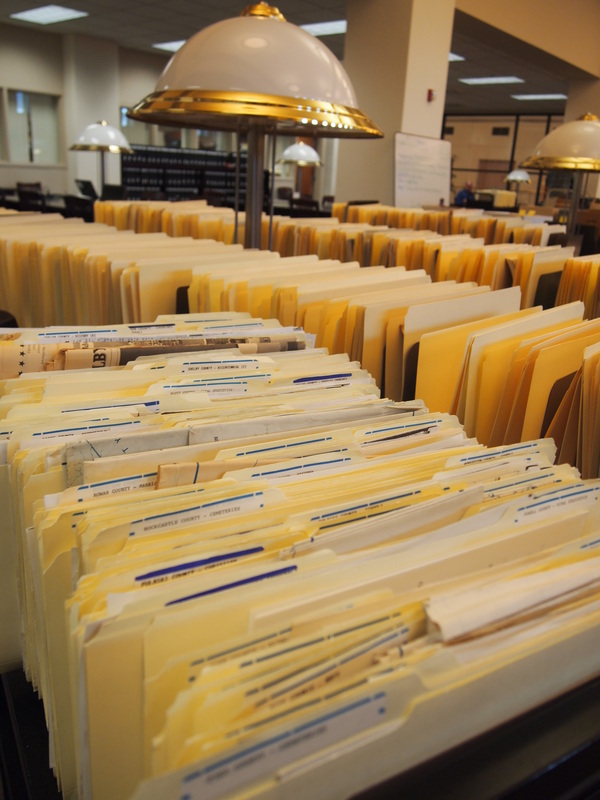 In a state genealogy library, we collect family information of all kinds – often, people bring us their “research” collections in bulk. Multiple boxes full of research bits and pieces – such as – family group sheets, census, birth/death certificates, maps, research notes, etc. One of the main draws we have in our library is a giant island of surname vertical files that includes many of those research bits and pieces left behind by previous visitors. Each time a person gets excited over this massive magpie collection, we urge caution. If it’s not sourced, be very careful how you record the information – please copy and place in standby until you can confirm the information in other documents. 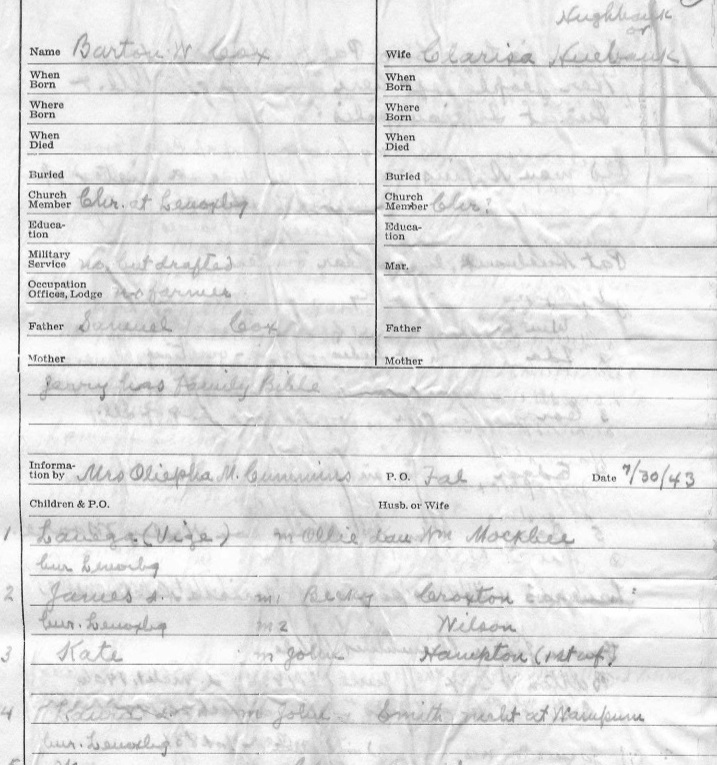 In most cases, the family group sheet comes to us with no citation information. It has been completed by the researcher or a family member, and contains the information necessary to fill out the provided blanks. They rarely contain the name of the person who provided the information, and they always earn a serious eye of caution each time I see one. However, there are some family group sheets that I treat with more respect than others. Does it include the name of the person who provided the information? If not – make a copy, and note where you found it – use for clues later down the road. Does it include any attached sources/citations? These could be on the back, or in the following pages, but if there are none to be seen, use the form as a breadcrumb only until confirming with documentary sources. What time period does the information cover? Does it detail the family group of the Duke of Royaltyland from the 12th century, sans sources? 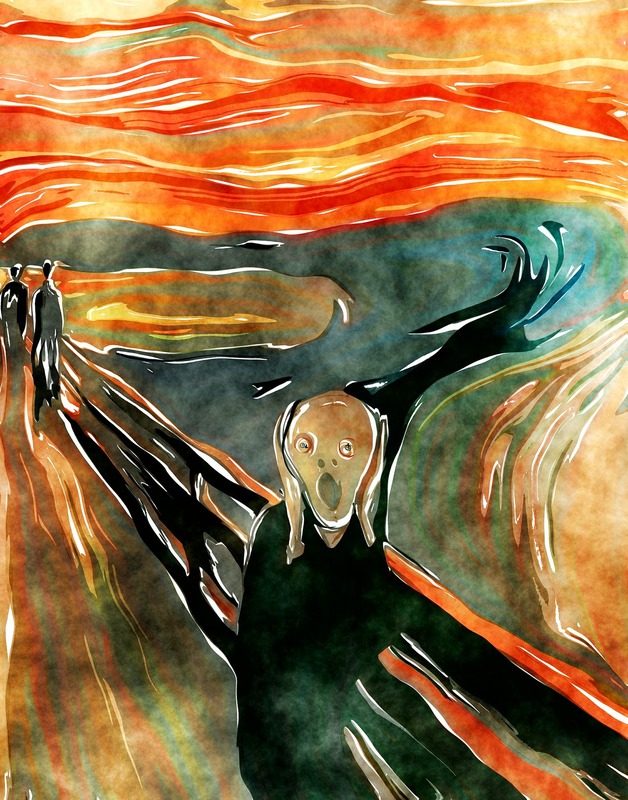 If so, disregard….back away slowly….this is genealogy sorcery of the worst kind. One of the few FGSs with an informant and date. centuries? I have learned to place more value on the family group sheets that provide information about contemporary ancestors/descendants. When the likelihood of personal knowledge on the part of the provider is high, I start to lean into the area of Family Bible Records. Just think – we all hold the family Bible record to a pretty high value. Some lineage societies love these and accept them readily as proof of birth or death – primarily because many of them cover a time frame when the recording of vital statistics was lacking on the official level. Plus, they too value contemporary information – in other words – a personal witness giving information. Caveat – regardless of the proximity of the information provider to the generation listed on the sheet, we can never rely on one document to prove relationships or reach a conclusion. 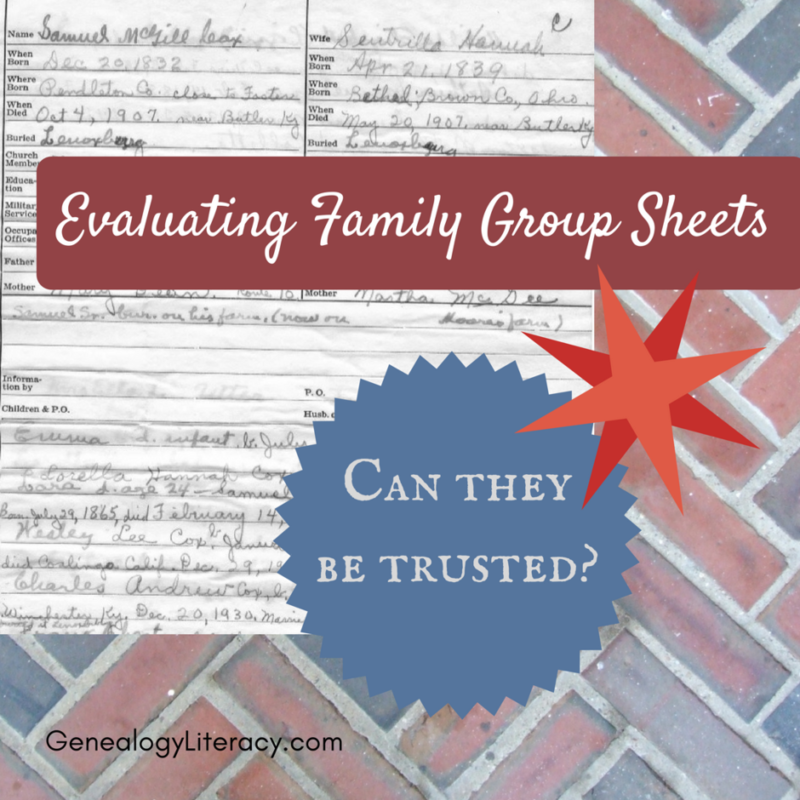 This goes for anything we find as we build evidence, but these family group sheets may provide the only research directional clue you need to break through your brick wall. Last tip: With your own family group sheets – PLEASE include a note about the preparer or information provider with a date of completion! This can be a simple line at the top or bottom – remember, even with Family Bible Records, many lineage societies require the frontispiece of the Bible to prove publication date – thereby placing the origin of the information in a contemporary time period as it relates to the ancestor.